I recently talked to a fund manager who visited the company. They talked extensively about the asset value. The bank extending the loan looked at the value of each crane and determined on their own that Boom was worth BV. This is reassuring. The market is pessimistic, but many investors don’t want to touch Australia in general. Shoot me an email if you want more info. Interesting comment – can you say more about the fund manager you have talked to (who visited Boom Logistics)? Would be interested in contacting him / learning more about their meeting. Interesting idea, will put some time in it. With regards to your nice graph: assuming you left out goodwill? Thanks for this piece. Check out “PHOS.” Down from over $40. Had a look at Boom too, but found the debt load quite sizeable compared to cashflow generation, so didn’t find it that cheap. I have taken a position in MacMahon Holdings. Not really a great company, but has the same discount to tangible book as Emeco, has very little debt and has pretty much revenue certainty for 3 years into the future. Maybe worth checking it out. Looks like Australia is one of the very few western countries left where you can still find bargains, even outside mining services. Think Boom generated 13.4 million in cash flow in the past half year versus 102M in net hebt. That sounds alright to me and they can always increase their cash flow by selling more idle equipment. I’ll take a look at MacHahon Holdings. Agree with you that Australia seems to be a good place to hunt for bargains. Just saying, the 13.4M number already INCLUDED equipment sales. The ‘pure’ free cash flow for this year (excluding equipment sales) will be roughly $12-14M. Including equipment sales this should be around $30M. Just a remark, as I agree the company should be able to repay its debt without any issues. It’s all about spending the money wisely. Additionally, as the debt will be paid down year after year, Boom’s interest bill should decrease yearly, which will increase the FCF. 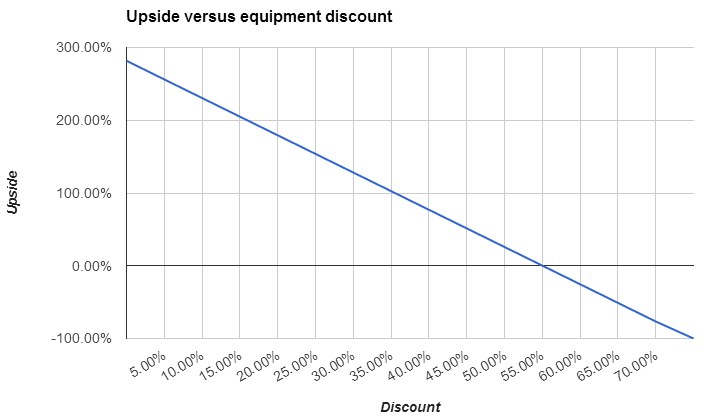 You wrote “The various mining equipment manufacturers are seeing a strong worldwide drop in demand and as a result the prices of second hand equipment are also dropping world wide. Boom Logistics should have a lot less trouble to sell their equipment globally for a good price, and their results so far seem to indicate that this is indeed the case.” So how will Boom easily sell its equipment for a good price? It seems like the second sentence contradicts the first. I probably could have formulated that a bit better, but I don’t consider cranes to be mining equipment per se. They use the cranes in Australia mostly for mining simply because that is a big part of their economy, but in the rest of the world there are a lot of other uses for cranes. That’s why Boom Logistics could sell the cranes in other countries for a good price. What about dilution, is that a risk? They diluted in 2006 and 2010. 150 million and 50 million each i think. Also it seems this is heavily dependant on construction, any idea where that cycle is? I had the impression Emeco is more operating (and has a nice exposure to canadian oil sands). I’m not worried about dilution at this point. The company is shrinking, reducing debt, reducing head count, selling equipment and thinking about buying back shares. Issuing shares for an acquisition to grow the company wouldn’t make any sense. Boom’s revenue is derived primarily from major customer maintenance contracts. Boom is consequently less reliant on construction expansion projects and is not exposed to exploration or new mine development. 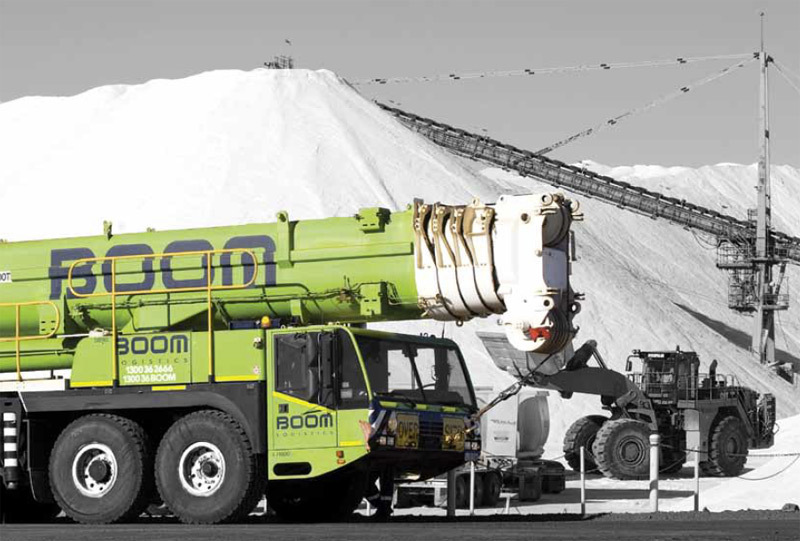 In addition, Boom has a strong capability to support customers who need to maintain production levels of existing facilities. Hey, I studied this one some more, and it seems that margins have been under pressure due to increased competition in the past 5-6 years. Decreasing from 30% to 16% recently (revenue – cash charges excluding depreciation etc) It also seems that they do have exposure to mining by reading the annual report. They are more diversified, but that also means they don’t have the market as locked down as Emeco has. They also lost a very profitable contract in 2013, and if competition heats up, combined with a serious mining down turn (not just construction), this one could result in some firesales. Because despite shrinking (EHL acutally grew) they had very weak FCF and had to issue shares to keep debt under control in 2010. So I am not sure if the profitable days of 2006 will return. They don’t seem to have any market locked up like EHL has. It seems Emeco is reasonably protected against this with very large market share in Australia and some nice opportunnities in Canada. 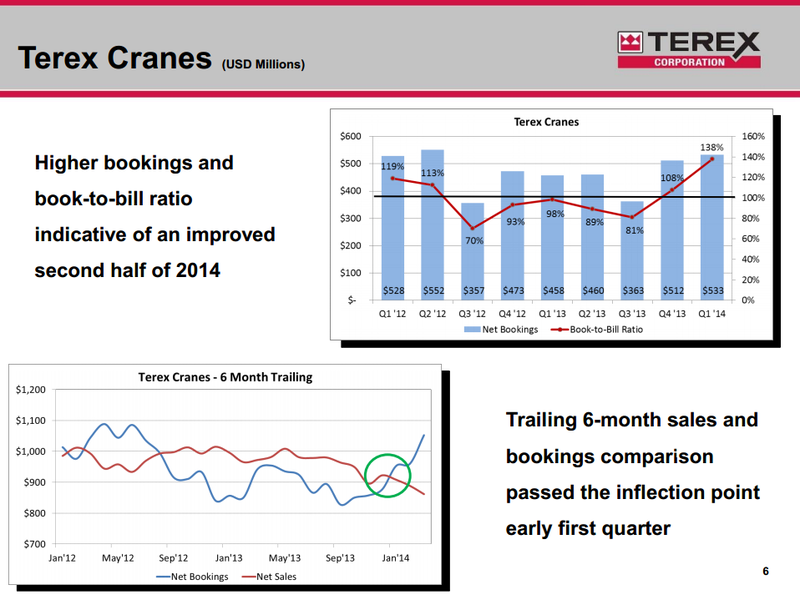 And their Ebitda margins are several times higher as well. Anyway still probably not a bad pick, things need to go really wrong to lose on this one. gl with it. I don’t think Emeco’s market position is noticeable better Boom’s. Both have a business model with a high threat of substitution because there is always an alternative for renting equipment. Creating economics of scale by having the biggest rental operation in your geography only creates a limited moat. And yes, I doubt that the days of 2006 will return. But that’s absolutely not what I’m betting on. ebitda and ebit margins are 2-3x higher for Emeco, so Emeco seems to have higher ROA and bigger scale advantage. Even on a smaller scale in Canada. This means employees own 13 million shares right? Or is this options outstanding or something. I cannot see that in Emeco, allthough several Emeco directors did buy several 100k$ worth of stock recently. And there is more upside with that one in oil sands where they are already the largest player. And looking at Chile, demand isn’t about to slow down t here long term (while in Indonesia the signals were clear). Choices choices 😀 , now I don’t know which one to pick. So a 7.5% interest rate would imply an increase ? Boom’s overall cost of debt is expected to remain at an average of circa 7.5%, consistent with the previous facility. I think the thesis is still intact.